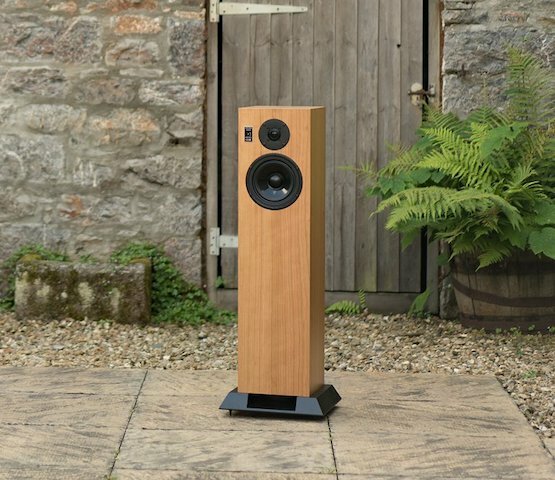 Building on the success of the popular LS6 monitor, the LS6/f is a floor-standing loudspeaker system that combines a modern aesthetic with the open, uncoloured sound you would expect from a Chartwell. The integrated plinth provides a flow-optimised path for the airflow from the port, reducing distortion at high outputs. The LS6/f uses the same custom drive units as the stand-mount LS6 and has an optimised crossover network using premium quality components to integrate the acoustic output from both drive units and equalise the overall response for optimum performance in free space. A switch on the front panel adds 1 or 2dB to the tweeter level, which might be advantageous in certain acoustic environments. System: 2 way reflex loading. Enclosure: Thin wall damped construction. Dimensions: 96cm (h) x 32cm (w) x 32cm (d) (including plinth). Bass/Midrange: Long throw 165mm Polypropylene. High Frequency: 19mm Dome tweeter. Recommended Amplifier Power: 50 – 150 watts unclipped programme. Ebony Macassar Finish – AUD$10,995.00.